Budgeting is that the most elementary and basic tool for managing your money. Still, a vast majority of people avoid having a budget because it’s “extra work”. Often time people believe that budgeting also dictates that you are no longer allowed to have fun and enjoy things. Let me tell you from over a decade of budgeting this is completely false, honestly, it does the exact opposite. What budgeting truly accomplishes is it clearly shows you how to allocate your money. 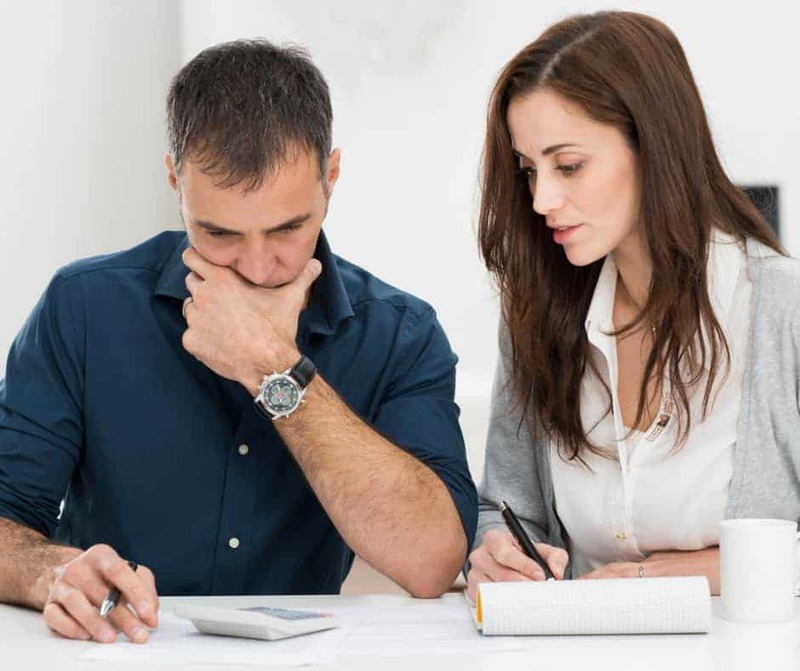 It provides you with a detailed understanding of what you can afford to spend your money on and knowing your financial limitations. Budgeting will save you the grief of overspending and possibly cause you to climb into more debt, something many of us struggle with. There are so many benefits of budgeting. One of my favorites is it does not stop you from enjoying the things you find happiness from in life. It actually does the opposite and allows you the freedom of doing more of the things you love. 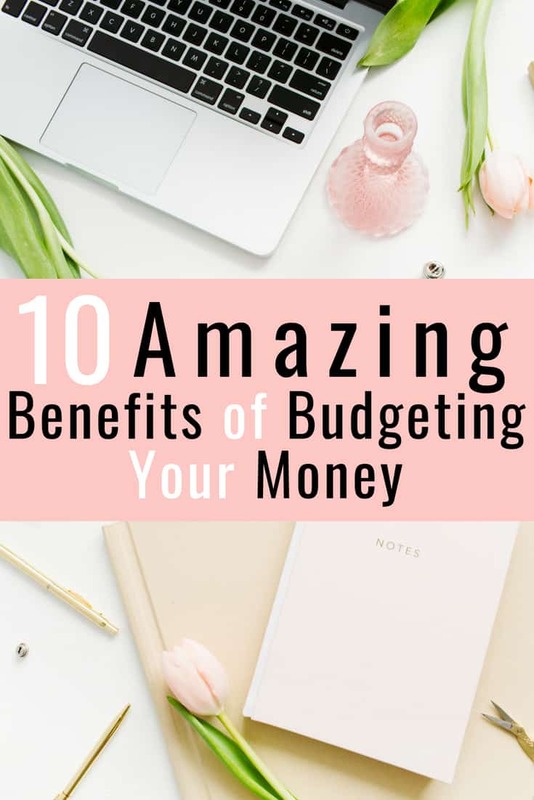 Click here to learn how to budget your money now or continue reading below for 10 awesome benefits of budgeting your money! Think about this for a second. If you are not controlling your money, is it controlling you? A budget is a savvy way of intentionally controlling your money. Budgeting allows you to live with far less stress without having to worry about those unexpected expenses that come up (way too often I might add). It also allows you to understand where you spending habits are weakest. The daily cup of coffee can really add up over time. According to ABC news the average American spends close to $1,100 per year on coffee alone. Budgeting will help you decide if giving up your morning cup of coffee is worth the savings to put towards somewhere else like paying off debt or saving for your next family vacation. Another advantage of budgeting your money is helping you avoid spending on unnecessary fees, services, and products that are cutting into your financial goals. If you have a fixed income budgeting will allow you to make ends meet much easier each month without all the stress. Sit down and write out your financial goals. Once you have them written down on paper and you take contorl of your money it’s much less likely not to meet them. Budgeting allows you to know exactly where your money is coming from, where it is being spent, and how much you have at the end of each month. This provides you with a complete understanding of your finances. A budget allows you to understand what you can afford, make the most of buying and investing opportunities and plan for a way to lower your debt. It also shows you what is important to you based on where you spend your money throughout the month. This will allow you to adjust your spending habits in the right direction to reach your goals. When starting to budget, start by breaking down all your expenses for the month such as cable, the internet, mortgage, insurance, groceries, entertainment, restaurant, gym memberships. Printing a budget template will help you stay organzied. This makes it easy to quickly view exactly how much you are spending on your individual services each month. Another reason to break these down into categories it is allows you to see if a bill goes up with a company. Recently our garbage bill was raised by $10 a month. Budgeting allowed us to see this change quickly so I was able to call and get our bill back to the original price. We have used Mint for almost a decade for tracking our monthly expenses. It’s absolutely free to sign up and they make budgeting extremely efficient. A trip to the hospital, car repairs and plumbing problem are all unexpected costs that come up from time to time. It is important that you have money set aside for these types of events, aka an emergency fund. The last thing you would want to do is not have enough money to cover the costs and have to charge it to a credit card that you already have a running balance on. We keep at least $1,000 in a savings account to help cover these unexpected expenses that arise. You should shoot for building up your emergency fund as your #1 priority in getting a hold of your finances. It’s critial in balancing the waves life will throw at you. Talking about finances to your parents, girlfriend, boyfriend, or spouse can be challenging sometimes. Some may say it’s even “taboo” (which is ridiculous). Having a budget allows you to have cold hard facts when it comes to communicating. This makes having a calm conversation about money much easier. Finances are the most common argument between married couples hands down. One of the biggest benefits of budgeting is reducing the overall stress surrounding the “money conversations”. Talk to your significant other and get on the same page. Open and honest communication always wins in marriage. Set aside a “discretionary category” in your budget, this allows for you both to have a limit but also allows you to spend the money the way you want to (make-up, Amazon, eBay, fantasy football, video games, protein, etc). When an issue arises in life like unemployment you will be ready. I hope this never happens to you, but budgeting will allow you to be prepared if it does. Having a safety net will keep you afloat if your income stops coming in. The saying goes “have enough in your safety net to last up to six months with no income”. Without our safety net, I would probably have never been able to quit my job and start blogging full-time. Trust me having a safety net will open up doors! You will never feel trapped again. Going to school, taking out a mortgage, and buying a new car are some ways we people go into debt. Understanding your debt is extremely important! Making sure you understand your interest rates, terms, and length of loans will be critical in controlling your debt. Budgeting will give you a clear understanding of how to pay down your debt. You will find that you can easily start to cut in other areas so you can afford to make extra payments on your debt. Investing is a great way to have your money work for you. Contributing to your retirement early and often should be on your radar so you can retire as planned. Some people use the rule of “whatever is left at the end of the month I will put in my retirement”. This is backward thinking. Try changing your mindset to “paying yourself first”. Meaning knowing how much you need to put away for retirement and paying yourself before anything else. Obviously, this takes time to learn how to balance it correctly so all your bills still get paid but this is by far the best way to reach your investment/savings goals. Know how much you need to contribute and work that into your budget! We have investment accounts with Vanguard, Betterment, and Robinhood. We have said this before and will continue to say it until someone proves to us otherwise. Controlling your money will have a huge positive impact on your life! We have a passion for budgeting and with Mint it takes us less than 10 minutes per month to check our budget. Brittany and I believe material things only provide you with a temporary small portion of happiness. You get to enjoy them for a little while, but that fades very quickly. 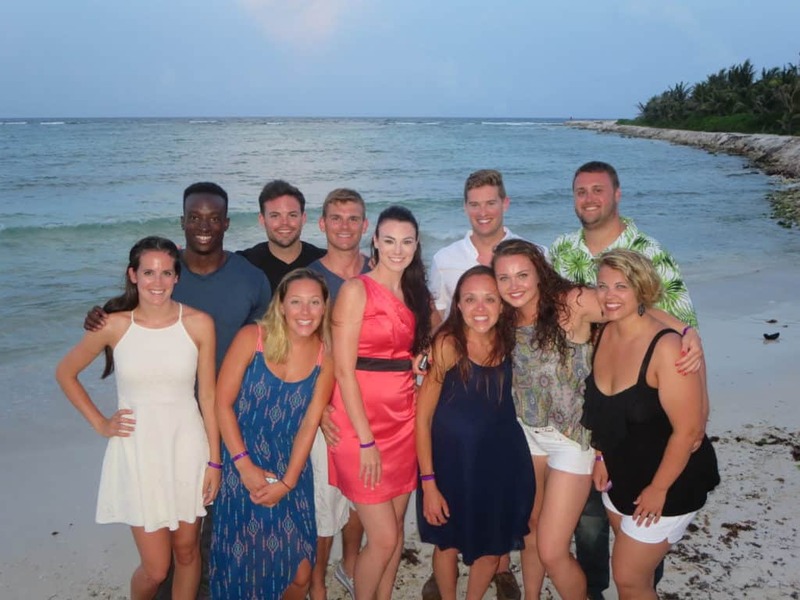 We are all about experiences and creating lifelong memories together! Budgeting has enabled us to have 100% control of our money. Allowing us to travel more, start our blogging business, quit my job, spend more time with our families, and so much more! If you are interested in starting a budget with pen and paper we created a budgeting binder just for you. Simple input your email address in the box below and we will send it straight to your email to get started. Also if you want to continue to the conversation and learn more about budgeting join our private Facebook group. A very satisfied YNAB customer!! Great list! Building on the “Tracking Your Goals” point, I’ve found that budgeting also helped me to prioritize my goals. It’s easy to realize in retrospect that you only have so much money, so saving towards one goal is a tradeoff for saving towards another goal. Budgeting forced me to think about which goals were most important to me.